How about the idea of ​​having a hotel just for yourself? No labyrinthine corridors, no noisy room neighbours, with the service totally at your disposal… It seems tempting, not even in this case size matters. 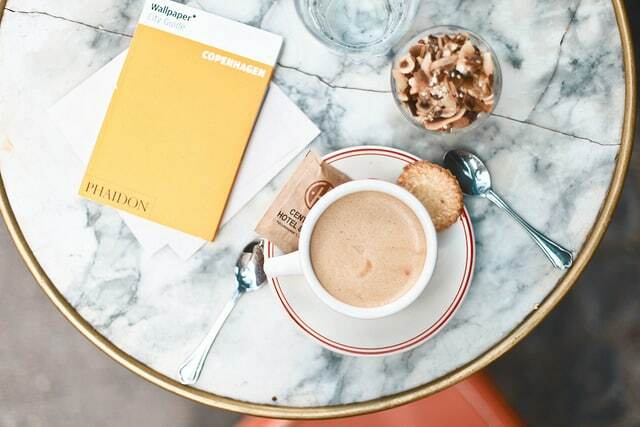 In Copenhagen we find the world’s smallest hotel, a single room. 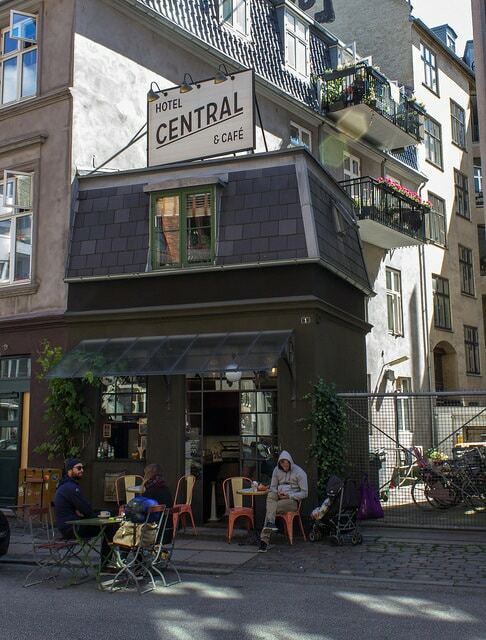 Located on the top floor of a small cafe in the Vesterbro district, the double room of Central Hotel has a beautiful interior design, with handcrafted details -with no room for additional beds, mind you! The suite is about 12 square meters, so that the maximum number of guests is two. The room price is around 240 euros a night, including breakfast. The history of the world’s smallest hotel is curious. In 1905 the house was built for a footwear business and fifteen years later the upper floor was built, where the shoemaker lived. After the World War II it remained abandoned for decades until the 80s, when it was restored and operated as a jewelry and later as a cafeteria. The building returned to remain empty for two years until two local entrepreneurs reformed and conditioned it as a hotel. 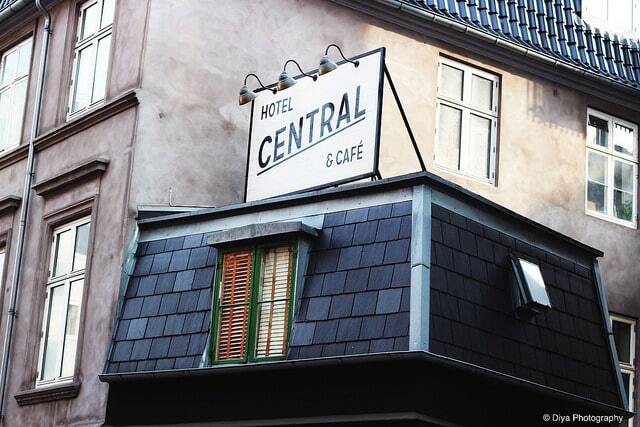 The smallest hotel in the world opened on June 19, 2013. There are many one-room hotels in the world, but this one has the honor of being also the smallest. However, according to the pictures it seems very comfortable and welcoming, we would not mind staying in this hotel-room. 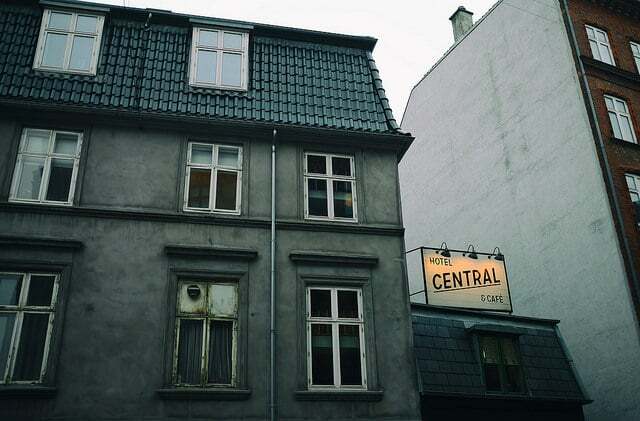 Now you know, if you want to be in a Guinness record winning hotel in the city, if you want to surprise your partner or simply treat yourself and stay in a hotel just for yourself in Copenhagen, the Central Hotel, the smallest in the world, awaits you. Photos: Hoff2, Faye Bullock, Saadia and Thomas Hartmann.